Toasters have been appearing across the streets of London for many years now, your're sure to have spotted the iconic toaster logo at some point on your travels across cities including Berlin, Stockholm, Los Angeles, San Francisco, Tokyo, Rio de Janeiro, Sao Paulo, Buenos Aires, Bangkok, Montevideo, Sydney, New York, Cape Town and Amsterdam. 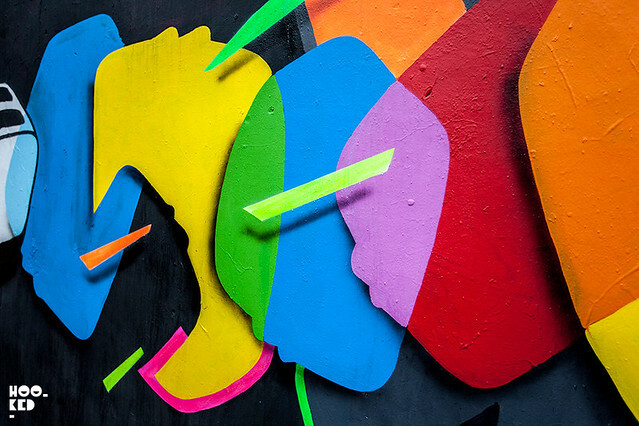 Having appeared on stickers, posters, stencils, huge murals and even on birdboxes in Hoxton Square in London, the secretive crew of three street artists originally from Wolverhampton and now based in London. Since the formation of the crew in 1999, they have continued to push the boundaries with their single toaster image used in their artwork. 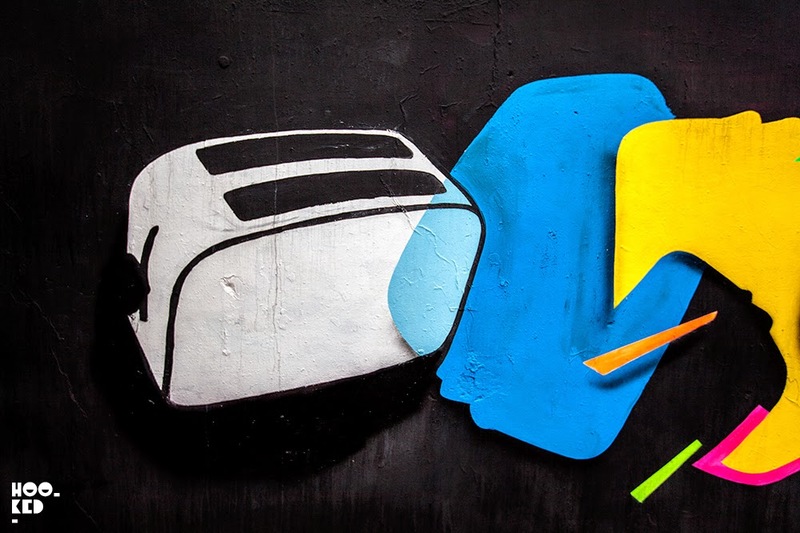 Recent years have seen the Toaster image popping up in unlikely locations not normally associated with street art. From flags at music festivals such as Glastonbury along with huge banners in football stadiums their iconic Toaster has appeared well just about ‘Everywhere’. 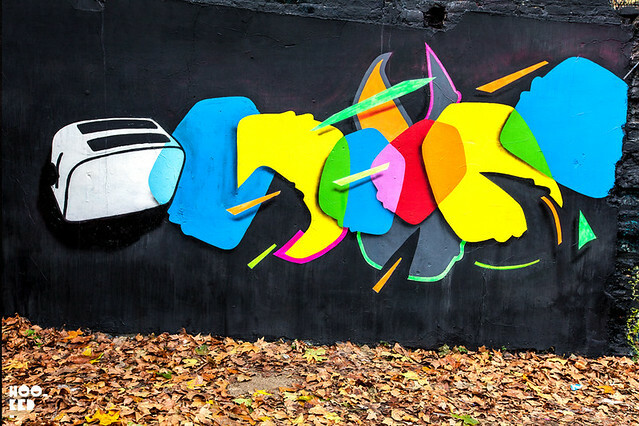 The last few weeks has seen the Toaster crew hitting the streets across the UK with a series of free art drops. Clues to the locations of their Toaster Tuesday artworks are shared on their various social media accounts so we suggest you check out the links below. To date work has been left in Aberdeen, Edinburgh, Leeds, Liverpool, Derby and London as part of Toaster Tuesday. 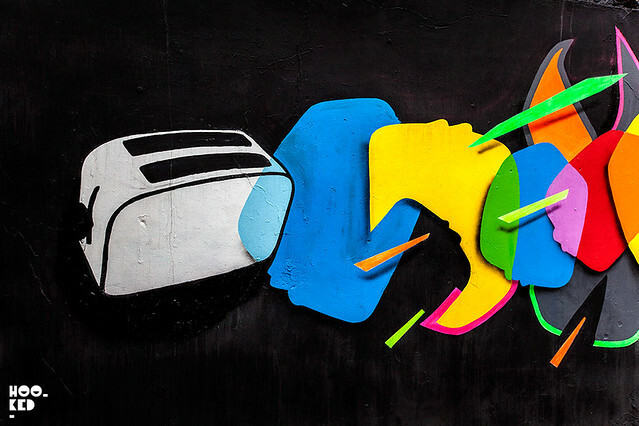 It's also been great to see some fresh mural work appearing recently from the crew in London, the piece pictured featuring a series of toaster shaped silhouettes with drop shadows was painted in a small car park just off Brick Lane with another mural in North London.